Welcome Elizabeth Seckman! I had so much fun interviewing her and enjoyed getting to know her better. I hope you enjoy getting to know her too! We both were children from around the same time, so I share some of her childhood memories. Once I mastered reading, I started writing. How did you get started? Tell us about your journey to publishing. Tell us about your book(s). What inspired you to write it/them? I write women’s literature (which I consider old school romance without the melting heat and the addition of a few sub plots.) I don’t know what the inspiration would be in a nutshell…a song, a picture, a phrase…anything can spark an idea. What inspires you to write? Do you have a particular song or mood that carries you through? Not really. It’s more like a dedication. Some days I don’t have a lick of motivation or talent, so I force myself to write crap. But crap makes good fertilizer, so it’s good to throw some around every now and then. Melanie Wilkes from “Gone with the Wind”. She is like the ultimate human being. I’d like to be that sweet, but I have a rotten side that can’t be controlled. Sigh. It was cheaper than therapy. Who are the writers that inspire you the most? All writers inspire me. I read good stuff and think, wow, I want to do that…I should try harder. And I read bad stuff and think, wow, I don’t want to look stupid… I should try harder! God. I pray before I start my writing day. A cup of joe, a boost of spirit, and I’m ready to go! Which cereal do you remember requesting the most? Fruit Loops! But there were five of us, so we were lucky to get Cheerios. Mostly we got oatmeal. What is your favorite childhood cartoon character and why? Holly Hobbie. Not sure if that counts…she wasn’t on TV. But I would get the paper dolls and the books. Wonder Woman. LOVED her. Strike that…LOVE her! What is the first movie that you saw in a movie theatre? I think it was “Rocky”. I had teenage sisters and they had more voting power than I did. Favorite TV show from younger years? “Wonder Woman” and “The Hulk”. And I remember watching “60 Minutes” on my dad’s lap. It was on at the same time as “Disney”…but I preferred the news…Disney gave me nightmares. In your Easter Eggs did you prefer candy or money? Or were yours hard boiled? 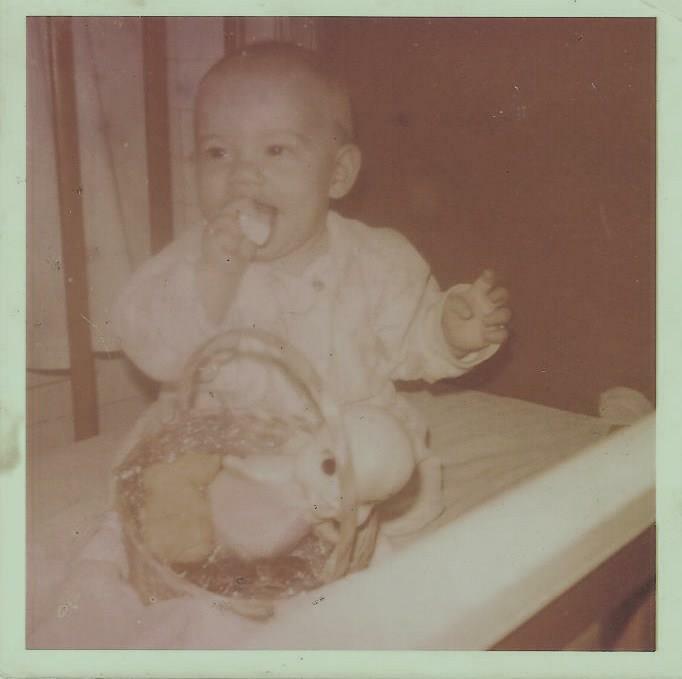 Hard bolied…but there was always candy in the basket! Are you a night owl or early bird? What time of the day works best for your muse? Night owl, but any hour is fine…as long as the house is quiet. I’d be a cat. They have a ton of style and no master! Favorites: color, food, season, music, movies, books. Pink, chocolate, summer, rock, comedy, chick lit. Links where you can be found?